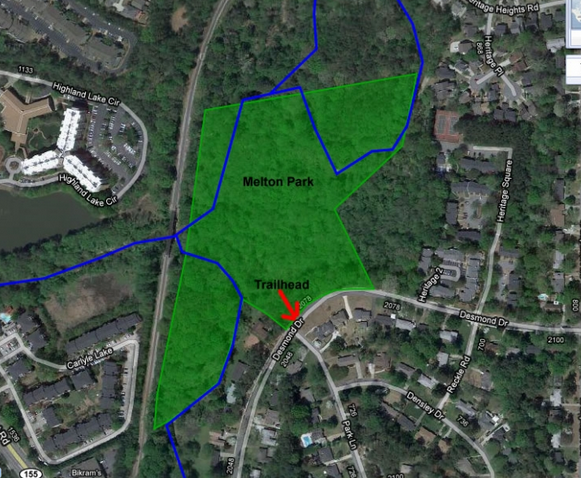 The Friends of Ira B Melton Park will be planting native shrubs on Saturday, April 12, from noon-3pm. The park entrance is located on Desmond Drive, across from Park Lane. You are encouraged to bring your own work gloves, drinking water, and a shovel if you have one. This project is supported by Park Pride, CHCA, MANA, and the South Fork Conservancy. Ainsley Waken of Awaken Landscape Designs created planting layouts for the project.